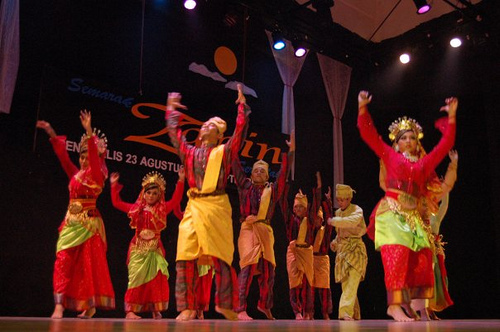 Tanggai Dance or Tepak dance, is a traditional art dance originating from South Sumatra. 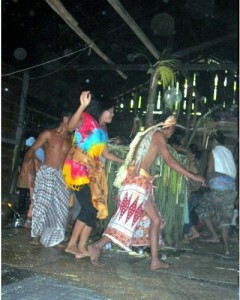 The aim of this dance is to welcome the guest that coming in the traditional wedding of Palembang, South Sumatra. Tanggai dance is performed by 5 dancers and the dancers wearing particular wardrobe and accessories, typical of Palembang native wardrobe. The movement of this dance is gentle and elegant at the same way. This moving gesture is showing the humble heart of the host to welcome the guests. 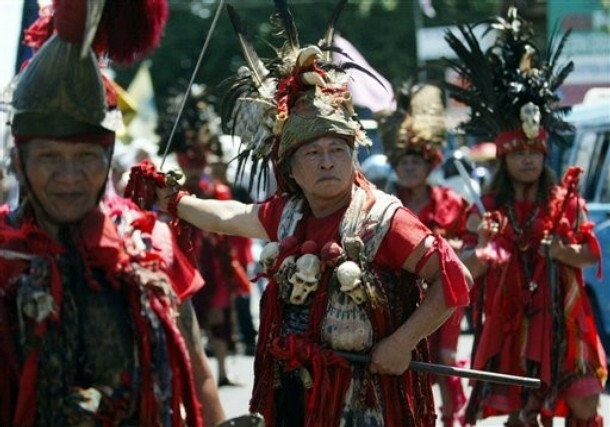 The movement is becomes more elegant by the traditional instrument and song that follows the dance. The song that been sang is called Enam Bersaudara, which is symbolized the harmony of Palembang society. Once during Sriwijaya Kingdom at ancient times, this dance was always being performed in order to greet the honor guests or any occasion, not only in royal wedding.